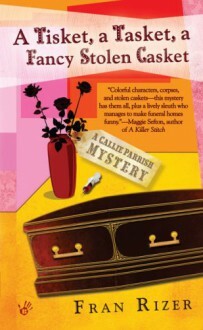 Bubbles meets Six Feet Under in the new Calamine Parrish mystery series. Mortuary cosmetologist Calamine Parrish stares death in the face every day. But when she finds a hypodermic needle in the neck of an "accidental" drowning victim, and the victim's fancy casket is stolen, Callie finds herself in over her head-and in the way of a killer.